As the future King and Queen of England, the Duke and Duchess of Cambridge's lives are usually shrouded in secrecy. Rarely do members of the public get a glimpse into their private time, and the couple only very occasionally speak about their how they live their lives behind closed doors. So it was understandably a shock when royal fans wandering around the grounds of Kensington Palace came across none other than Catherine herself! It seems as though the Duchess was out on a sweet trip out with two of her children, when a couple of Twitter users revealed they were shocked after casually strolling past her in Kensington Gardens! MORE: Who lives at Kensington Palace and what’s it really like inside? One claimed that Catherine was out with Prince George and Princess Charlotte, who she was reportedly pushing in a pushchair. The fan wrote, ‘In London for 8 hours, walking through Kensington Gardens and who walks past me?! Only Kate Middleton pushing Charlotte in her pushchair with George on his little push-bike 😭😭😭’. And a third revealed, ‘I just passed Kate Middleton but couldn’t freak out about passing a princess’. However, as amazing as it likely was for the people who spied the Duchess, it seems it’s actually not that strange to see her walking around Kensington Gardens. A handful of fans have spotted her walking around the London park, often with her children, over the years, although she’ll normally make sure to go incognito with casual clothing and a baseball cap disguising her identity. 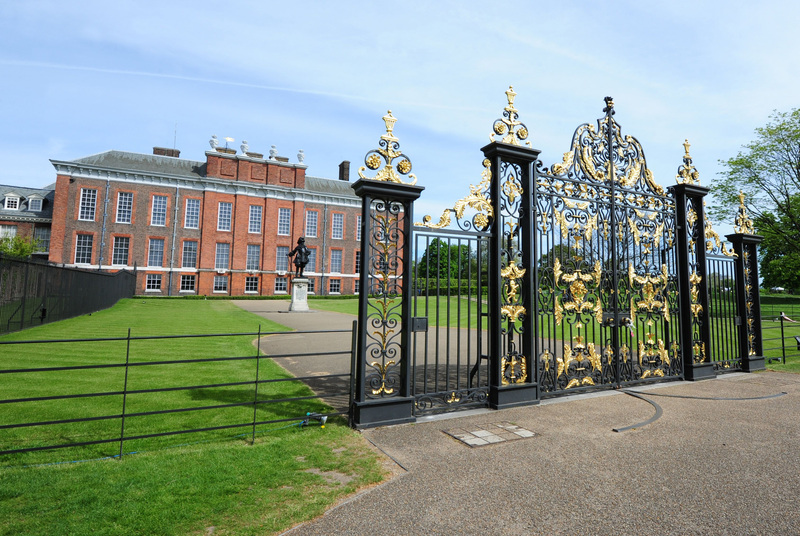 While the actual grounds of Kensington Palace – Catherine and William’s family home in the capital – are private, and so off limits to the public, the surrounding gardens are for general use. Just recently, the Duchess of Cambridge was spotted taking her youngest, Prince Louis, on a visit to the duck pond in the royal park. But she made sure to protect herself and her son, bringing a few of her royal protection officers along with her on the walk.